Going for a job interview – be it your first or your 50th is still nerve wracking with many of us hating to feel like we have to sell ourselves, or answering questions we’re not prepared for. 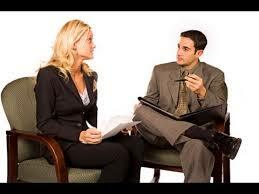 But, did you know that interviewing is actually a skill you can learn. Over the next few days we will share some tips with you to help overcome any anxiety you feel so you can present yourself to an employer as a confident and positive employee. We know that quite often it’s not the smartest or most qualified person who gets the job, usually it’s the person with the best *people skills* – that is someone who can relate to others, has excellent communication skills and fits in well. One way to *connect* with your interviewer is to try and find out more about them, perhaps there is a profile on the company website. Try and see if you both have a common connection, a love of the same sport, a love for travel, cars etc. You’ll find if you know you both have something in common, the interview will seem less daunting and you’ll feel you can connect as a person with him or her. Research – try and Google everyone you think you’ll meet at the interview and see if there are any interests that are commonly shared. Listen – during the interview listen and look for anything you do share in common, have they something on their desk or walls you can relate to. Have they mentioned family, plans to travel, where they studied? Is there a book on their desk you have read, anything that gives you a chance to engage in something that is a little to the side of the Interview – this opens up a chance to let the interviewer know you share an interest. Share your interests – perhaps you don’t *see* anything that you have in common, so, when asked to speak about yourself, share you hobbies and passions. By sharing more of yourself you open the door to finding connections. You have done all the research you can about the company, or industry you are wanting to enter, your resume is up to date and as perfect as it can be and job openings have come up, but you feel the jobs are either beneath you or way too complicated for you so you skip them. By limiting your field like this you are lowering your chances of landing a job, and you could be missing out on some excellent opportunities, so don’t not interview for a job just because you feel it’s not quite right for you. Practice – your interview skills might be a little out of date, or, if you are a new job seeker nonexistent – you need practice and that means taking on every interview you can. Learn – by getting out there and interviewing for every job you can you’ll gain insight and information into perhaps other openings you’d be more suited to and you might even find a career path you’d never considered before. New opportunities – if you have the skills and you have made an impression in the interview that can help make you stand out within the business or organisation. Employers want to place good people within their company and if they can’t employ you they might actually refer you for another position elsewhere. Please come back and join us for part 2. Have you anything to add, would you like to share some of your interviewing experiences with us?